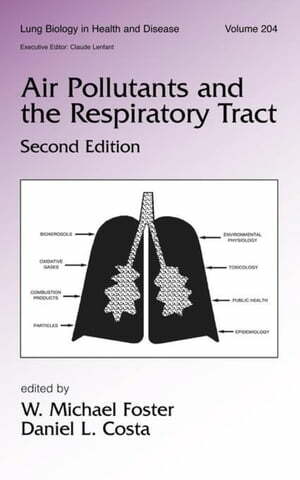 Collins Booksellers - Air Pollutants and the Respiratory Tract, Second Edition by Foster, W. Michael, 9781420028348. Buy this book online. Emphasizing the impact of air toxins and contaminants on human health, this Second Edition examines the latest research from the epidemiology to the cellular mechanisms underlying cardiopulmonary responses to air pollution. This guide offers chapters that address the basic biology, techniques, and clinical practices used to monitor and assess acute and chronic pollutant responses; the effects of specific air toxins and contaminants on various populations chronically exposed to these compounds; and the complex issues associated with translating science to public health policy.